Lake Homes Realty has been ranked as one of the fastest growing companies in the market by the Birmingham Business Journal. The brokerage is now buying and selling lake real estate in Arkansas. Rachelle McClard has been hired as the broker in charge for the new region. McClard grew up in Hot Springs on Lake Hamilton and is passionate about sharing her experience with buyers. 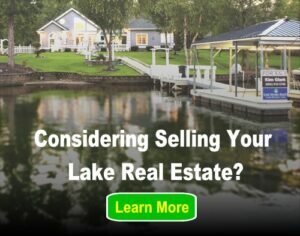 Their move into the Arkansas lake house market increases Lake Home Realty’s likelihood to reaching 2.2 million visits to lakehomes.com website this year. For more information on the continued growth of Lake Homes Realty, be sure to read the full Birmingham Business Journal article, “Fast-growing Birmingham real estate firm targets new state”.